In partnership with Maine Lobster Now. This post contains affiliate links, please see disclaimer. 1.4.5 Did you make this recipe? 1.7 What Else Is There to Do? Maine is known for its endless forests and laid-back culture, but the state is especially famous for its seafood. 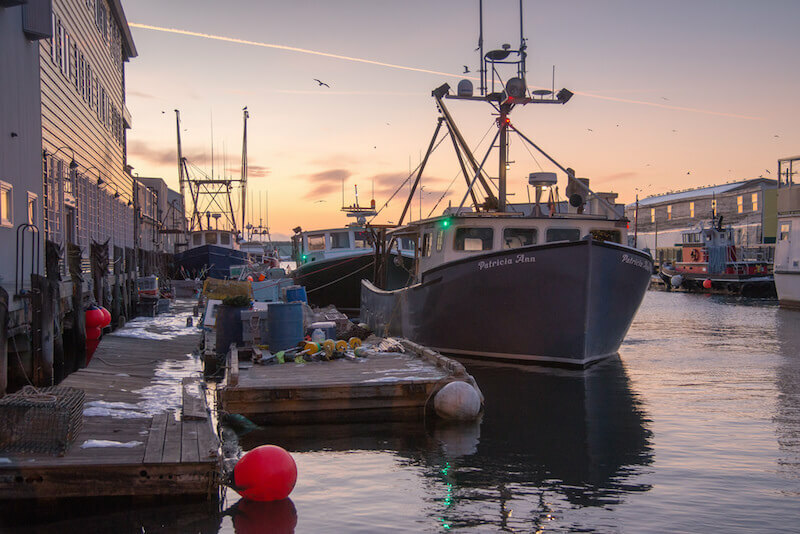 Ever since prehistoric times, citizens of Maine have relied on the fishing industry as the backbone of their economy and livelihood. Over the years, the state has collected artifacts and documents about their history, so everyone can learn about Maine’s origins. This treasure trove includes many interesting collections about their fishing industry. Specifically, lobster has been a major draw to the state for many years. The first documented lobster catch happened in the 1600s, as settlers began to arrive from Europe and the shellfish became an affordable meal for all social classes. It wasn’t until the 1840s that the price of lobster began to increase, leading to Maine’s first established commercial lobster fishery. Ever since, Maine chefs and residents have been perfecting how to cook lobster for maximum taste and enjoyment. Back when the first European settlers were building their homes in the Portland area, they took note of how indigenous people seemed to always be eating lobster. The shellfish would wash up by the hundreds with every tide, making it easy to collect them for a fresh, constant source of protein. While the lobster business is a much more grueling career in modern society, the act of eating lobster has become integral to Portland’s identity, since it’s been a habit for hundreds of years. The community takes pride in cracking the tough shells open and sharing the meat with friends and loved ones. However, they’re far from the only ones with a love for lobster dishes. People have been catching and eating lobster for hundreds of years. Wherever people could lay traps or go fishing, they were dining on lobster meat. A songwriter named Peter Norfolk even composed a tune about lobster in the 17th century. While it didn’t have quite the economic value of lobster in 19th-century America, anyone who could fish or afford to go buy meat from a local market could enjoy the taste of lobster dishes. The key to truly enjoying a lobster dish is to find one that comes straight from the heart of Portland. Even if you’ve never made it before, you’ll be able to trust those with a true love for lobster created the recipe. 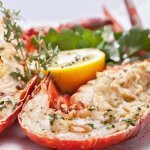 Baked Stuffed Lobster Recipe. The perfect way to enjoy Maine Lobsters. While the water warms, cut open the lobster by inserting your knife just underneath the head. Slice down through the belly and remove the guts, but not the meat. Put the lobster in the boiling water for 7 to 10 minutes. While it boils, melt the butter in a medium saucepan and add the meat required for the stuffing. Sauté until the meat is tender, which will take between 3 and 5 minutes. Drain the lobster when it’s done boiling and fill the lobster’s opening with the stuffing mix. Bake the lobster in the oven for 7 to 10 minutes, or until you can see the claws start to split. Keep an eye on the lobster, or it might dry out and become unenjoyable. If you’re still in the mood for a delicious lobster dish, but don’t want to make it yourself, there are plenty of places to find lobster in the Portland area. One of the best places to go is Street & Co., which is always a hot spot for locals. You must make reservations at least two months in advance online, but their grilled lobster has gotten rave reviews from almost everyone who’s eaten there. If you’re planning a visit to Portland, be sure to make your dinner reservations early! While lobster is the reason that draws many people to the city of Portland, they stay for all the great things there are to do. Visiting the Old Port makes almost every tourist’s must-do list. You can walk around cobblestone streets to visit shops and restaurants, right on the waterfront. It has a hip vibe and even provides sightseeing tours for those who want to see the town. Plus you can’t beat the view across the harbor at night, with all the buildings illuminated and reflecting in the water! It’s always a good idea to plan ahead for potential rainy days, which is when the Portland Museum of Art will come in handy. It’s a gorgeous museum with exhibitions to keep you entertained for hours. Make sure to check out their upcoming events to see if any catch your eye. There are fun things for everyone of all ages to do at the museum, which makes it a great stop for families, too. Whether you want to be outdoors or see some history inside museums or historic mansions, Portland has many exciting things to do while you’re there. You can have your choice of vacation, from camping to sightseeing. You’ll love eating all the fresh lobster you can handle, then you can have fun exploring all the quirks and events Portland has to offer. Go for the food, and stay for the experience. We’re heading to Portland in Maine for WITS. Can’t wait!! Love it! I will definitely visit these place. Thanks for posting this and Best Regards! love you blog only for this reason that you always shared your experience through different way and that i love most. specially when you showing food recipe because me too a foodie lover.